My friend Amy O shared this recipe with me. 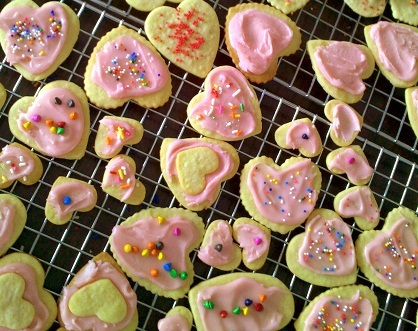 Crisp, delicate, melt in your mouth cookie. Combine butter and cream cheese, gradually add sugar and beat unit light and fluffy. Beat in egg yolk, orange peel, and vanilla. Sift together flour and salt, blend gradually into cream cheese mixture. 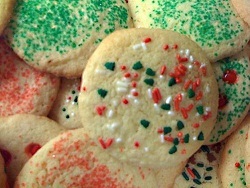 Roll and cut out cookies, sprinkle with color sugar or other sprinkles. Bake at 375° for 12-15 minutes, or until light golden in color. *I usually double this recipe. This dough can also be used for press cookies.